Two New Reasons to leave your AC and come into Ours! Summer can seem like a game of frogger – dodging out to the car, into a shop, back to the car, into another shop, then back to the house…exhausted and hot. But what if the shop had fun things to look at, nice folks, music, food, cool drinks, and wonderful art and accessories to browse? What if there might also be something fun to do with the kids that you can bring home and keep or give as gifts? 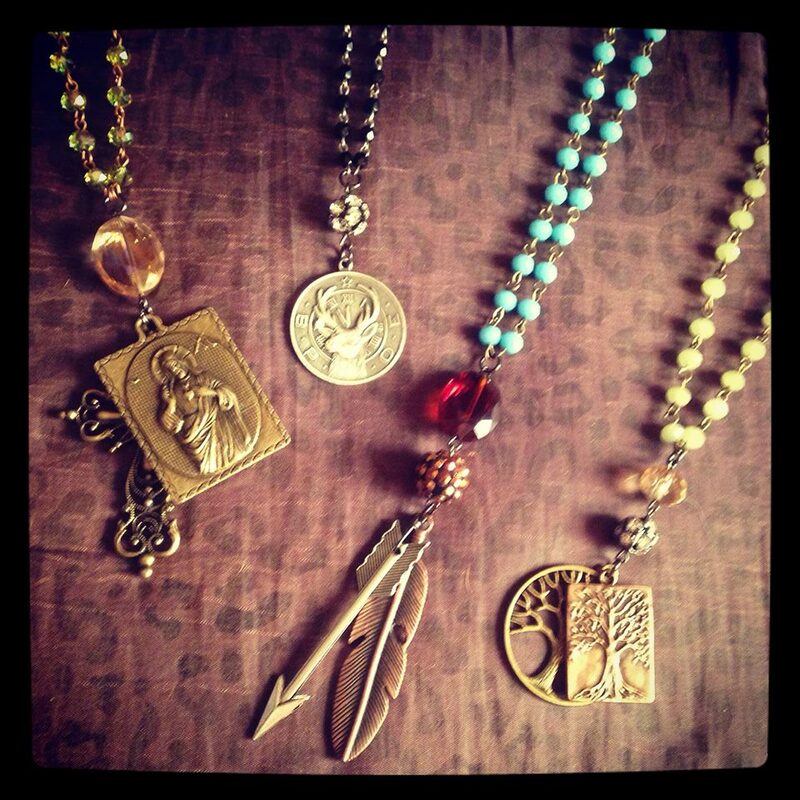 Trunk Show with Savannah Hoffman Designs! Meet the Maker this Saturday, July 16 at Makers Connect. 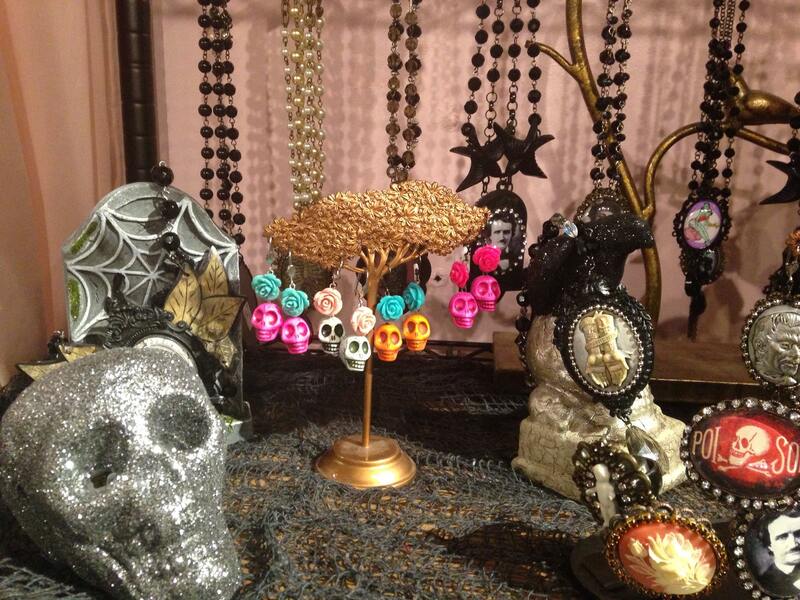 She will bring a fabulous abundance of her eclectic and unusual “Victorian Rocker-Meets-Biker-Chic” jewelry! Come again, you say? Think of rhinestones and skeletons; tintypes and old leather….ancient Egypt meets the Silver Screen! Felicia has a knack of mixing the old and the new, with an appreciation for history and meaning. These pieces are super special. 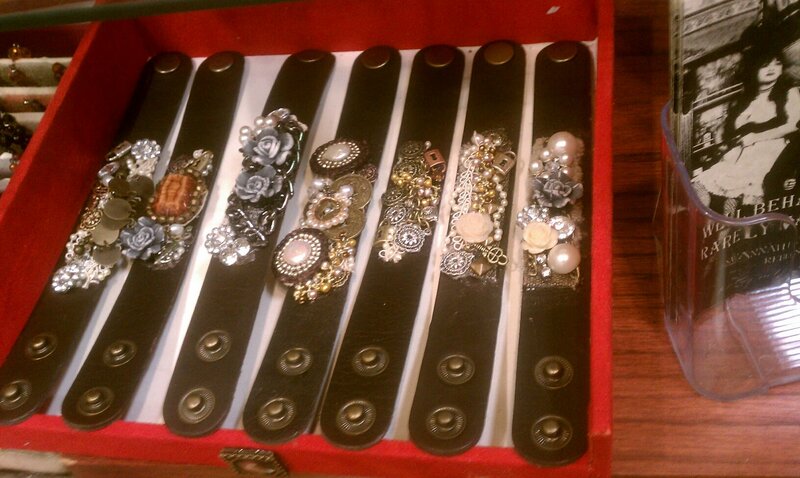 Felicia will even create custom pieces for you. Grab your friends and check it out- one day only. Drinks and nibbles will be offered. Noon – 4 pm in store; no pre-registration required! 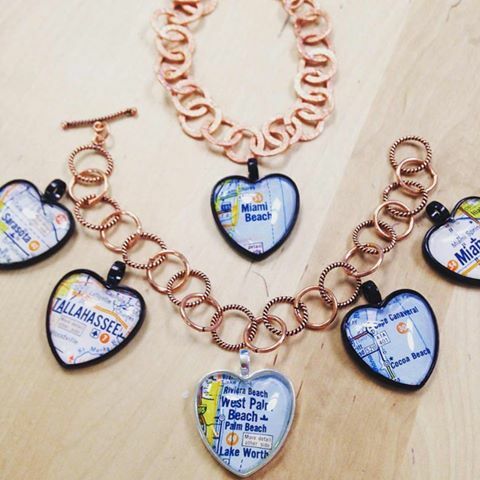 We know you love the heart-shaped city charms here at the shop, as well as the many other Steampunky creations of Ed Freiheit. Many of you have asked how to make them, or even ordered custom work from him. Now we’re offering the opportunity to sit down with Ed and make some charms yourself. Bring your own tiny-sized images to make custom pieces or use the images and maps he will have on hand. 1 item $12, 2 items $10 each, 3+ items $8 each. Subtract $1.00 for each image that you provide. Images should be on non-gloss paper with water safe inks. Pay as you go. Just drop in any time during the afternoon!